The UCLA Film & Television Archive and the Tadashi Yanai Initiative for Globalizing Japanese Humanities present “The Art of the Benshi” from March 1 to 3 at the Billy Wilder Theater, 10899 Wilshire Blvd., Los Angeles. During the silent film era in Japan, which extended into the early 1930s, film screenings were accompanied by live narrators, called benshi. In the industry’s early years, benshi functioned much in the way scientific lecturers did in early American and European cinema, providing simple explanations about the new medium and the moving images on screen. Soon, however, benshi developed into full-fledged performers in their own right, enlivening the cinema experience with expressive word, gesture and music. Each with their own highly refined personal style, they deftly narrated action and dialogue to illuminate — and often to invent — emotions and themes that heightened the audience’s connection to the screen. Loosely related to the style of kabuki theater in which vocal intonation and rhythm carry significant meaning and feeling, benshi evolved in its golden age, between 1926-1931, as an art form unto itself. Well-established benshi such as Tokugawa Musei, Ikukoma Raiyfi, and Nakamura Koenami were treated as stars, reviewed by critics, featured in profiles (in 1909, the first issue of one of Japan’s earliest film journals featured a benshi on its cover) and commanded high salaries from exhibitors. The prominence and significant cultural influence of benshi prompted the government to try to regulate their practice, instituting a licensing system in 1917, and attempts were made to enhance their role as “educators” through training programs overseen by the Ministry of Education. The benshi were not without controversy, however. While some contemporary critics argued that the benshi were essential to differentiating Japanese film culture from the rest of the world’s output, others argued that the benshi, along with other theatrical elements, impeded the artistic and technical evolution of Japanese cinema into a fully modern art form. Benshi did vigorously resist the coming of sound to Japanese cinema and the practice continued, though with increasing rarity, into the sound era. The art, today, is carried on by a small group of specialized performers who have been apprenticed by the preceding generations of benshi, creating a continuous lineage back to the original performers. The Archive and the Tadashi Yanai Initiative for Globalizing Japanese Humanities are pleased to present this major benshi event in Los Angeles, which will afford audiences a once-in-a-lifetime chance to experience this unique art form in all its rich textures. Pairing rare prints of Japanese classics and new restorations of American masterworks, this weekend-long series features performances by three of Japan’s most renowned contemporary benshi, Kataoka Ichirō, Sakamoto Raikō, and Ōmori Kumiko. Trained by benshi masters of the previous generation, they will each perform their unique art live on stage in Japanese (with English subtitles) to multiple films over the course of the weekend. Every performance and screening will be accompanied by a musical ensemble with traditional Japanese instrumentation, featuring Yuasa Jōichi (conductor, shamisen), Tanbara Kaname (piano), Furuhashi Yuki (violin), Suzuki Makiko (flute), and Katada Kisayo (drums). Star Ōkōchi Denjirō and director Itō Daisuke helped remake the chambara genre in the late 1920s, infusing it with visual flash and mythic power. Sadly, the films of theirs that survive exist mostly in fragmentary form. Such is the case with Blood Spattered Takadanobaba. In this brief scene (7 minutes), the ronin Yasube comes home drunk to a letter from his uncle requesting assistance fighting off a band of villainous samurai. Yasube races to his uncle’s side and joins the battle already in violent progress. So that audiences can experience more directly how a benshi’s specific style can influence a film, “Blood Spattered Takadanobaba” will be repeated over the course of this series with a different benshi narrating each time. Shochiku studios had introduced the term jidaigeki, “period drama,” into the Japanese theatrical marketplace in the early 1920s to describe and differentiate two of its films, “Shimizu Jirocho” and “Woman and Pirates,” both written by Itō Daisuke. While it launched the period drama, Shochiku didn’t pursue it, letting Itō go to Nikkatsu studios, where, as a director he revolutionized the genre with his own energetic take on the chanbara film. In a bid to make up lost ground, Shochiku lured Itō back with an unprecedented budget to shoot “The Sword That Slashes Human and Horse” about a ronin who comes to the aid of rebellious farmers against a corrupt feudal lord. As with “Blood-Spattered Takadanobaba,” this short fragment (26 minutes) will be repeated over the course of this series with a different benshi narrating each time. “A Diary of Chuji’s Travels” (Chūji Tabi Nikki, 1927). In 1959, Japanese film journal Kinema Junpo named this epic chambara, “sword fighting” film, the best Japanese film of all time for the thematic and kinetic innovations writer-director Itō Daisuke brought to the story of the outlaw hero. Originally four hours long, this surviving version (111 minutes) takes up the exploits of gambler Chuji in media res as he defies strict social norms and fights to save the geisha Oshina. Narrated by benshi Sakamoto Raikō. Saturday, March 2, at 7:30 p.m.
Escaped convicts Stan Laurel and Oliver Hardy are on the lam and up to their necks in hilarious misfortune. Narrated by benshi Ōmori Kumiko. 22 minutes. Yasujiro Ozu brings his characteristic visual precision along on this excursion into the gritty haunts of the gangster film and the signs of an expanding modernity, a pool hall, a nightclub, a record store, a corporate office and a nightclub. A stenographer by day and gangster’s moll by night, Tokiko (Tanaka Kinuyo) fights back jealousy when Joji (Oka Joji) goes for the shop girl sister of a new, reckless member of his mob. Narrated by benshi Kataoka Ichirō. 100 minutes. Sunday, March 3, at 3 p.m. This charming cut out animation, based on a popular children’s song first recorded in 1919, follows a day in the life of Chameko, a young girl who wakes up, goes to school and then attends the cinema with her mother. Narrated by benshi Ōmori Kumiko. 7 minutes. 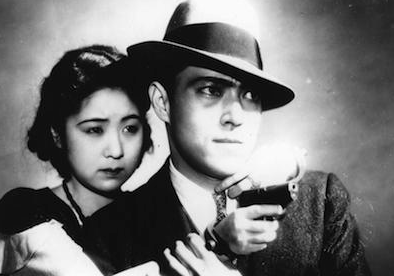 Based on a contemporary set novel by Shunyo Yanagawa, “Nasanu Naka” was adapted to the Japanese stage with multiple film versions to follow, including director Naruse Mikio’s take in 1932. Director Masao Inoue also stars in this 1916 adaption, which follows the destruction of a businessman and his family as mounting scandals reakwaken lingering hatreds and induce new crimes. This surviving fragment features three sequences from the original film, including its denouement. Narrated by benshi Kataoka Ichirō, Sakamoto Raikō, Ōmori Kumiko. 12 minutes. Sunday, March 3, at 7 p.m. In Tokyo, “a city of culture and progress… but also… vice and debauchery,” a poor factory girl and a wealthy scion become star-crossed lovers in Mizoguchi Kenji’s bitter melodrama of social inequality. Narrated by benshi Sakamoto Raikō. 22 minutes. Nakajima Iwajirō, dubbed the “Japanese Charlie Chaplin,” stars in this comedy about a man’s obsession with money. Narrated by benshi Kataoka Ichiro. 29 minutes. 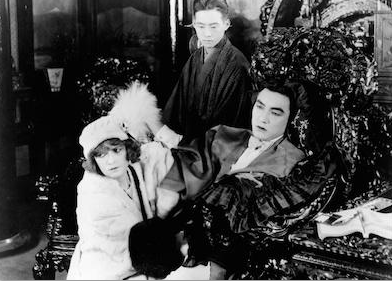 After a society matron (Fannie Ward) loses embezzled funds on a bad stock tip, she desperately turns to a wealthy Japanese art dealer (Sessue Hayakawa) for a loan, but he demands repayment in carnal affection. 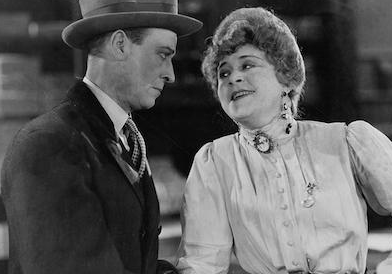 Bathed in deep chiaroscuro shadow and seething with exoticism and racial paranoia (the Japanese Association of Southern California protested the film on its release), “The Cheat” is Cecil B. DeMille at his most scandalous. Narrated by benshi Ōmori Kumiko. 53 minutes. 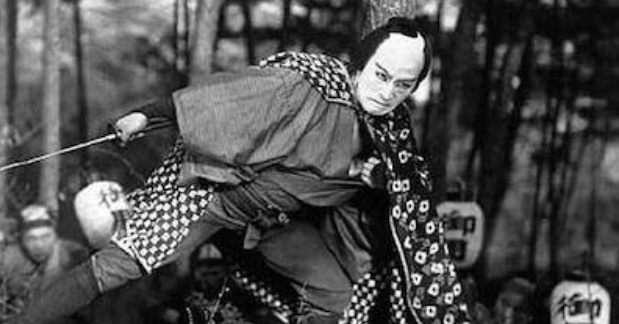 The first star of the Japanese screen, Matsunosuke Onoe, plays the mythical title character, a shape-shifting ninja who battles his enemies in a series of loosely connected fight scenes. Narrated by benshi Kataoka Ichirō, Sakamoto Raikō, Ōmori Kumiko. 21 minutes.